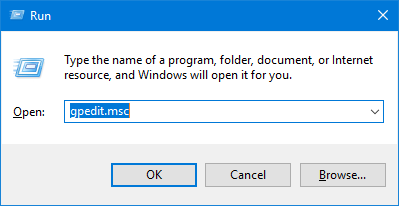 Is there a way to disable the right-click context menu on the Windows 10 taskbar using group policy? 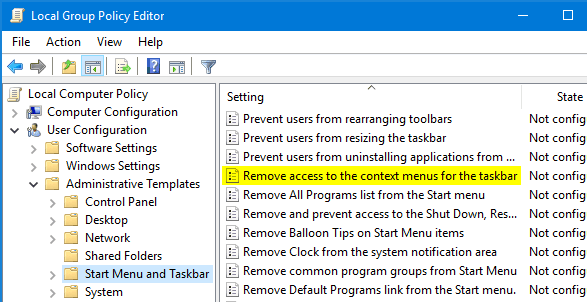 In this tutorial we’ll show you 2 simple ways to disable right-click context menu on the taskbar in Windows 10 / 8 / 7. This is really useful if you want to prevent inexperienced users to delete or add any apps in your taskbar. Press Windows + R hotkey to open Run Command. Type gpedit.msc and press Enter key. 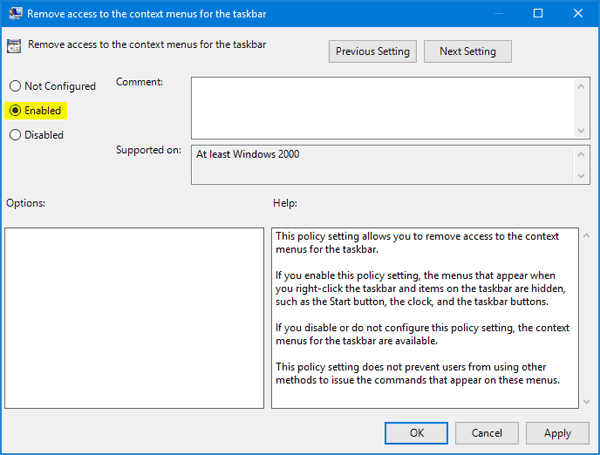 In the left side of Local Group Policy Editor, navigate to User Configuration > Administrative Templates > Start Menu and Taskbar, then double-click the “Remove access to the context menu for the taskbar” policy in the right side. Select the Enable radio button. 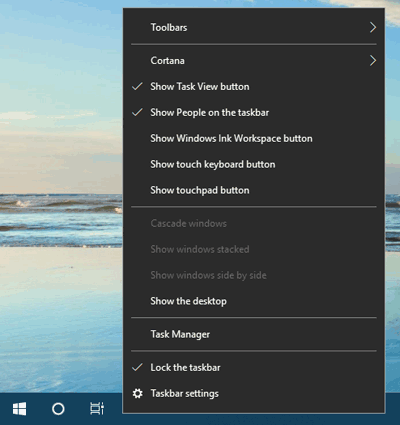 Click Apply and then OK.
Now you have successfully disabled taskbar right-click context menu in Windows 10 / 8 / 7. Press Windows + R hotkey to open Run Command. Type regedit and press Enter key. 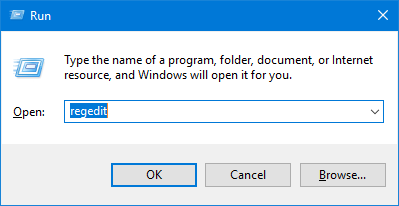 If the Explorer subkey is not available, right-click on Policies key and select New -> Key, then name the new key as “Explorer”. 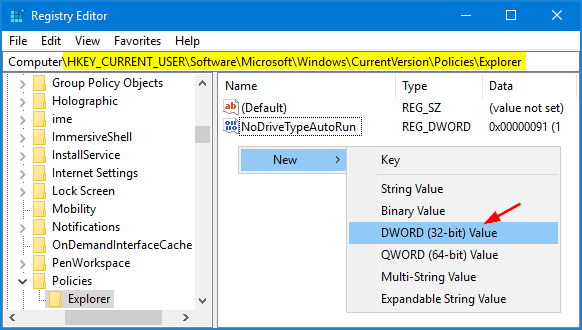 Now right-click on blank area in the right pane, and select New -> DWORD (32-bit) Value. Give it the name NoTrayContextMenu and click OK. Then double-click the name and set the value data as 1. Log off or reboot for these changes to take effect. The next time you right-click on the taskbar, it won’t show up the context menu any longer.